Serving in Terre Haute and throughout western Indiana, Tim Hayes Law offers experienced counsel to individuals and businesses when they need legal support. We place a special emphasis on personal injury matters. Recovery is a costly process. There are doctors’ fees, hospital bills, prescription costs and insurance premiums. Individuals unable to return to work suffer financial setbacks in the form of lost wages. We provide aggressive representation for individuals injured as a result of someone else’s carelessness or recklessness. Our firm has also developed a core competency in assisting individuals with their finances. In the current economy, it is not uncommon to become immersed in debt. College tuition, medical care, home mortgages and other considerations quickly become unwieldy. Increasingly, individuals turn to bankruptcy as a potent means to eliminate their debt; we help our clients establish firm financial footing through bankruptcy filings, and through other means of debt management. We are also adept in guiding individuals through the essentials of estate planning, to ensure the ongoing financial protection of their loved ones. In addition, Tim Hayes Law offers guidance to businesses in their legal disputes. We understand that when a business partnership breaks down, the fallout can be as acrimonious as a divorce. Our firm works hard to assert our clients’ interests and rights through negotiation and, when necessary, through courtroom litigation. 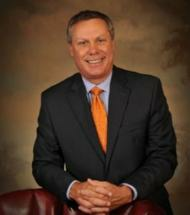 Tim Hayes, our principal attorney, has worked in Terre Haute for more than 25 years. He understands the needs and concerns of its various communities, and has helped many clients through their legal troubles. When you need a lawyer, he can help you, too.